Green Bit has been providing high end biometric products to solutions providers for over 20 years, with notable early successes serving the national ID and law enforcement markets. It developed its DactyID, DactyScan, and MultiScan product families end-to-end to deliver efficient and affordable fingerprint biometrics for all possible applications, and DactyScan40i was a finalist in the Intelligence Advanced Research Projects Activity (IARPA) Nail-to-Nail Fingerprint Challenge in 2017. Green Bit has recently increased its focus on partnerships to provide them access to the financial sector, Sergio Rainero, Green Bit Chief Operating Officer told Biometric Update in an exclusive email interview. Biometric Update and Green Bit discussed the company’s spoofing technology, key differences between the law enforcement and enterprise markets, and the coming breakthrough in fingerprint biometrics. What Green Bit products do you recommend to customers in banking and the financial sector? Sergio Rainero: DactyScan84C 4-4-2 scanner as it offers the best ratio price/features for a complete and fast customer enrollment in combination with the DactyID20 single finger with our proprietary, patented Antispoofing detection system and /or DactyScan40i Dual fingers reader for verification. What makes Green Bit’s technology attractive for financial industry applications? Green Bit Scanners are best-in-class when it comes to detecting whether it is scanning a real live finger or not. Many scanners can be spoofed. When performing a financial transaction, the false rejection rate (FRR) has to be as low as possible so that a false rejection never causes an authentic user to be refused a transaction. Imagine if you go to an ATM, and you need to draw money, and your finger is not properly verified. Green Bit biometric products offer reliability and competitive pricing, based on our 20-year long industry experience coupled with continuous R&D, ensuring Green Bit scanners deliver best-in-class performance. As a company with an established place in the law enforcement market, how is the banking and financial sector different? Law enforcement applications are in many instances used for forensic identification, so now Green Bit brings forensic quality images to commercial applications. In the financial sector secure convenience takes a front seat. Governments and businesses alike are looking for authentication technologies that not only provide reliable security but are also extremely difficult to fake. Biometric technologies like ours are one such solution that fulfills these conditions as well as provides a great deal of convenience to the users. 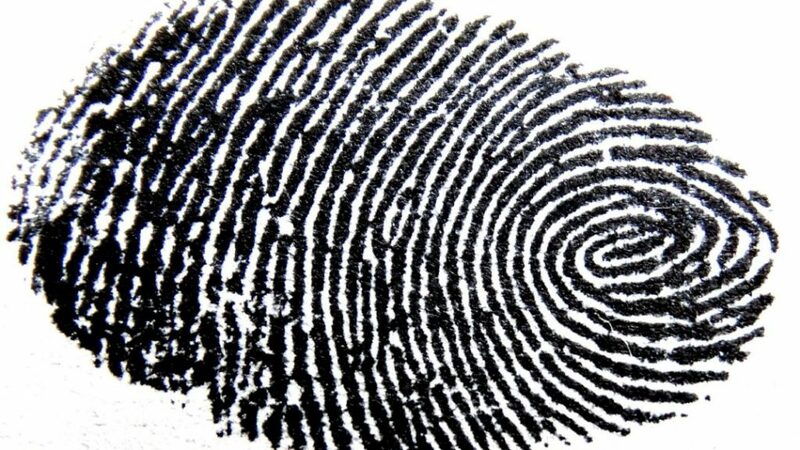 What is the biggest trend in fingerprint biometrics right now? User authentication. For example, most mobile banking applications can be accessed using your fingerprint on your device, but there are still a lot of concerns about the real efficiency of such solutions. So, providing a real secure, efficient, reliable biometric solution for user authentication is, and will be, the real breakthrough. What’s next for Green Bit? We are focussed on providing our technology to help organizations in several different markets. One product we are very excited about is TFT-based live scanners (4-4-2 and dual fingers) to address the increasing market demand of “mobile” solutions. For the law enforcement market, the launch of our MultiScan1027 palm scanner with 1000 PPI resolution and USB3.0 is coming soon. For civil ID enrollment applications, we will soon launch a new version of our very well-known family of 10-finger scanner, DactyScan84t, with an even smaller footprint and USB3.0 for a faster acquisition time.